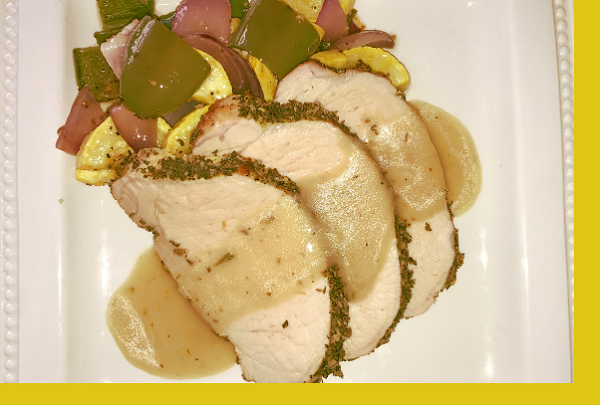 Tender, delicious pork loin crusted in an aromatic herb rub, roasted to perfection and topped with a gravy. 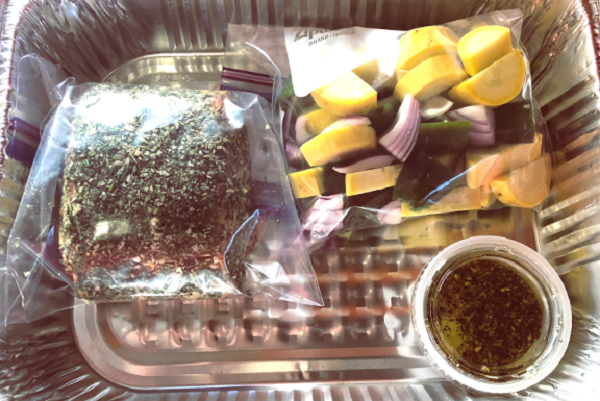 Served with roasted zucchini, bell peppers and red onions. Big flavor, little effort, why can't life be this way all the time? Pork: Preheat oven to 375°F. Place pork in provided pan. Bake for 25 minutes or until cooked to desired wellness. 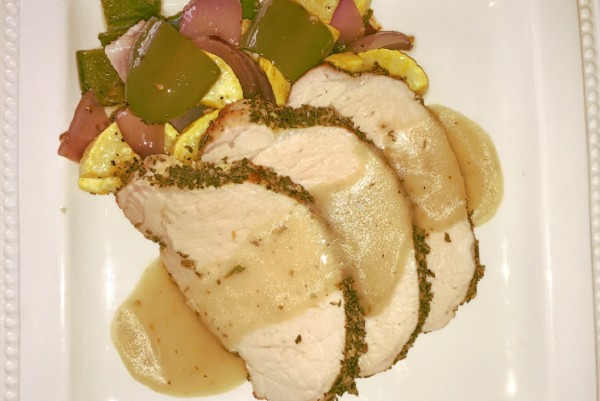 Reheat gravy, slice pork and serve. Vegetables: Place vegetables in a pan. Mix and pour oil dressing evenly over vegetables. For reduced sodium, use less oil dressing. Bake at 375F for 15 or to desired tenderness.